2. Potty Training- So now that Miller is two is seems that potty training is something I need to start stressing out about. Miller has been letting us know when he needs his diaper changed for the past two months and when I mentioned this to the pediatrician she said that was great news and we need to start encouraging potty training. I guess my big question is- where do I start? Any advice either way? Success or failures with either one? Are boys really harder than girls to potty train? Any tips or tricks? 3. 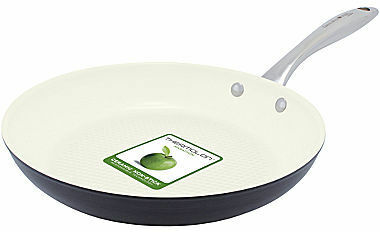 GreenPan Cookware- The calphalon non-stick pans we've had since our wedding are shot so I've been on the hunt for new ones. With all the talk about how original non-stick coating isn't that good for you I've been hunting for an alternative to the ones I'm used to. A few people recommended stainless but everyone said there can be a big learning curve when cooking with those and that it's easy to burn food. Then at the beach my sister in law's parents had the GreenPan brand pans and now I'm hooked! I picked up a pan for us at Target but while doing some searching for the rest of the off white set (since the Targets close to me only carry a few sizes and colors) I found that JCPenny has them on huge sale so I'm picking up a few more sizes. oven safe to 850ºF Aluminum/ceramic/stainless steel. Dishwasher safe. Imported. I just love everything about what they offer! Do anyone of you own their stuff? Have you tried it? I love everything about this dress but I'm 99% sure that I would not pull it off correctly. I just have a sixth sense that it won't look good on me but I still want it. Since I can't shop until August you all go buy it and tell me what you think. 5. Tito Fresco- I cannot stop thinking about this delicious drink we had on vacation and now I'm dying to re-create it at home. It consists of Tito’s Vodka, St. Germaine Elderflower Liqueur, cucumber infused water & lemon simple. Sounds pretty easy right? Like the perfect summer cocktail. I'm hoping to make some this weekend. Of course I forgot to snap a pic. I am sad to think you are leaving your gorgeous kitchen!! Packing is the worst - actually moving in general is the worst!! Boy potty training is fun...and my boys were not interested as early as the girls. I tried the little potties but honestly I think going on the big potty or with that clip on seat works better. 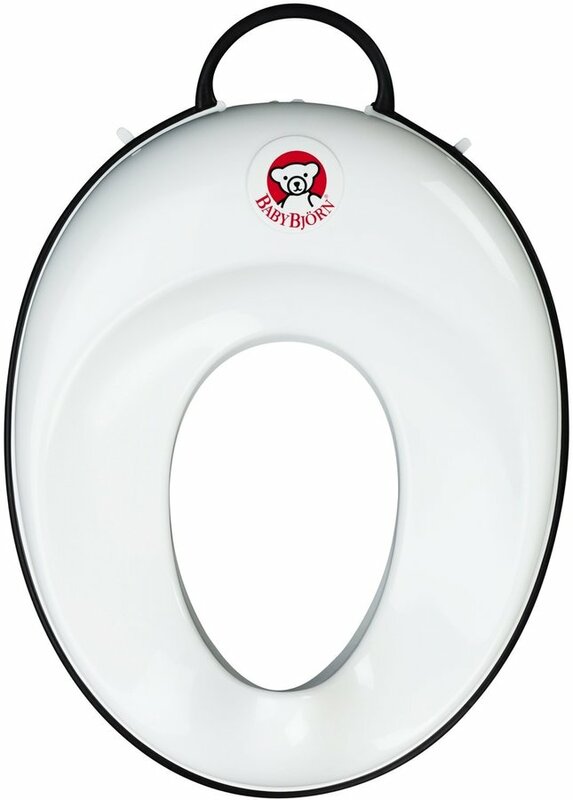 Also....I had my boys sit backwards on the seat facing the back of the toilet and by straddling the seat it kept the pee pee in the toilet! Some tricks I tried to make it more fun....put food coloring in the water....when they pee it will change colors. And once they have mastered knowing when to go and they are ready to start standing to potty you can put cherrios on the water for little targets. :) Most important thing someone told me when I stressed about getting them trained...it WILL happen so don't stress about it...you don't see kids going to kindergarten not potty trained! Boxes! The best kind of toys!! & those pans!! I have never heard of them but, they sound amazing! My Paula Dean non-stick pots & pans are on the fritz (after only 2 years!!!) so I might be picking up some of these to start replacing my current ones!! Thanks for sharing!! Oh mama solo parenting is tough with one baby let alone two! Same with moving! We waited until the weekend we were moving to pack because it was just too much having to dodge boxes and try to find things when you need them. Good luck with potty training!! Congrats on the move! It's so funny how kids are fascinated by boxes haha. Good luck with potty training. I love that dress! Yay for your move! That dress is super cute! so for the potties, we have one of each of those. 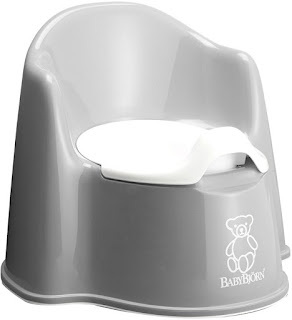 I had bought the baby bjorn potty which he really seems to enjoy sitting on when he's in the bathroom with us, but then I also bought the seat that goes on the toilet because once we really start potty training, I like the idea of that so much more!!! Much less mess and clean up headache!!!!! also, i can't believe you just wrote about those green pans because we have just been obsessing over those too!!! I just bought a new one last week and my husband keeps saying these are the best pans he's EVER used!! He's our weekend breakfast chef and loves how easy it cleans and nothing sticks to it!! It only took me a week to comment on this post. I always read it on my phone and cannot comment! We have both Baby Bjorn models. 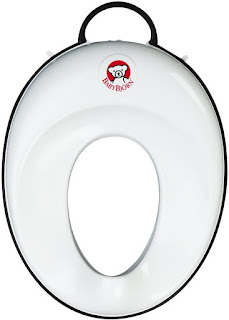 We use the potty lid seat when we travel and the chairs all the time. Personally, I feel like they are more comfortable in their own little chair and it helps to have their feet on the ground. And YAY for Greenpan! We are on our second, we just have a small one that we use to do our eggs everyday. We still have an big ol' All Clad we got from our wedding but the GreenPan I feel better about using everyday. Good luck packing! Moving is so exciting (in the big picture sense, maybe not the details - packing is hard! especially with two little ones)! Can't wait for new house updates! 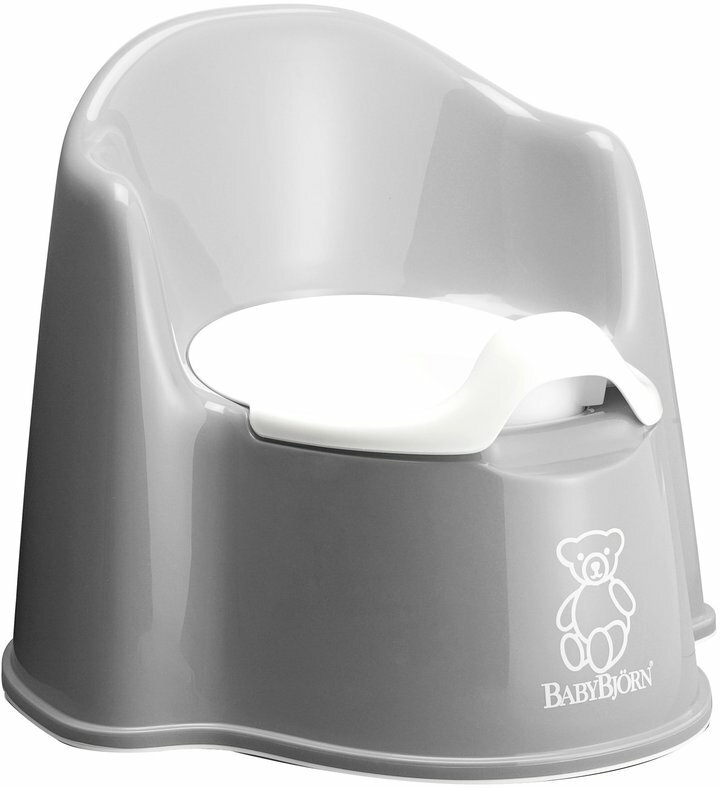 I had the Bjorn potty and neither boy really used it, they just used the regular potty without anything special. I had a fold up seat cover (http://www.buybuybaby.com/store/product/primo-folding-potty-seat-with-handles/1014909486?skuId=14909486&mcid=PS_googlepla_nonbrand_bathpotty_&adpos=1o3&creative=48836599620&device=c&matchtype=&network=g&gclid=CjwKEAjwueytBRCmpOyZ2L-xrG8SJADwH5c6a1WqDZXJXVGq1JXAuxWX9glbEI-eZLhaH7x9gIPsTxoCsPrw_wcB) That worked well for public bathrooms and folded to fit in my bag. Goodluck on that endeavor! And you could totally pull of that dress! I think it needs someone tall and you've got the height!